Adult males precisely live up to the name—females more resemble a sparrow on steroids. The first reliable sign that spring is here is a cattail marsh alive with males establishing their territories. 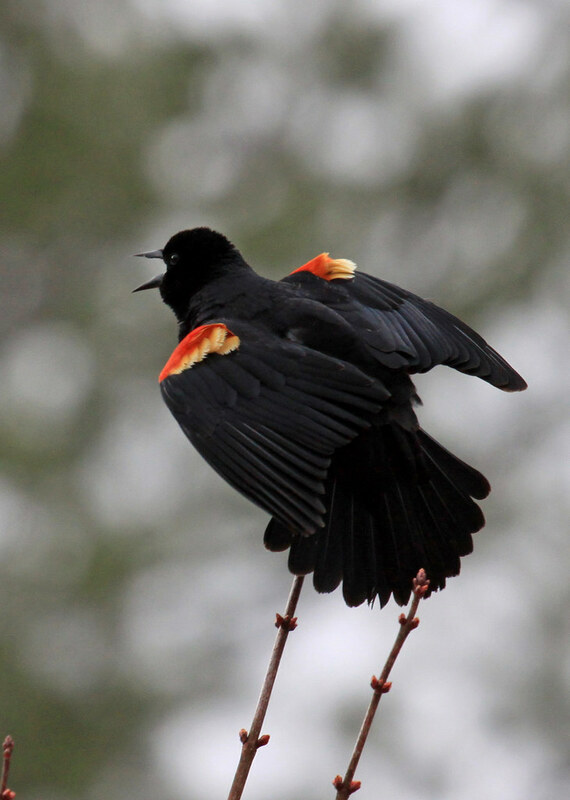 Outside of the breeding season, red-wings gather in huge blackbird flocks and can cause some agricultural damage. The USDA allows farmers in western Minnesota and the Dakotas to kill millions each spring.